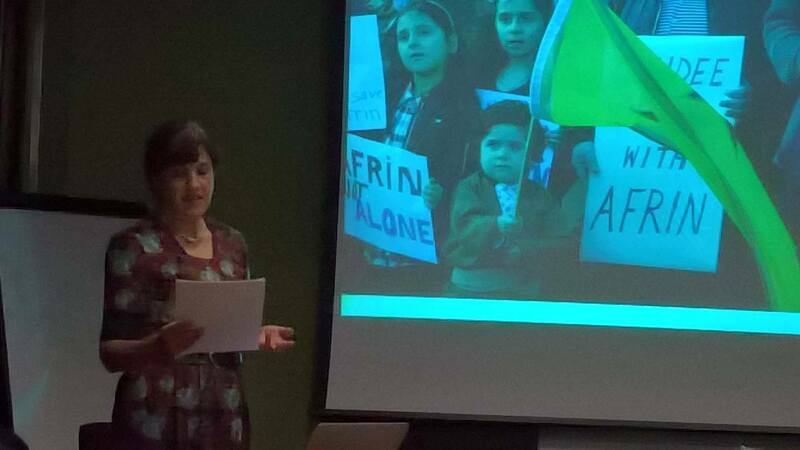 Our AGM, in Glasgow on the 6th September, included a talk by Sarah Glynn on her visit to Northern Syria. 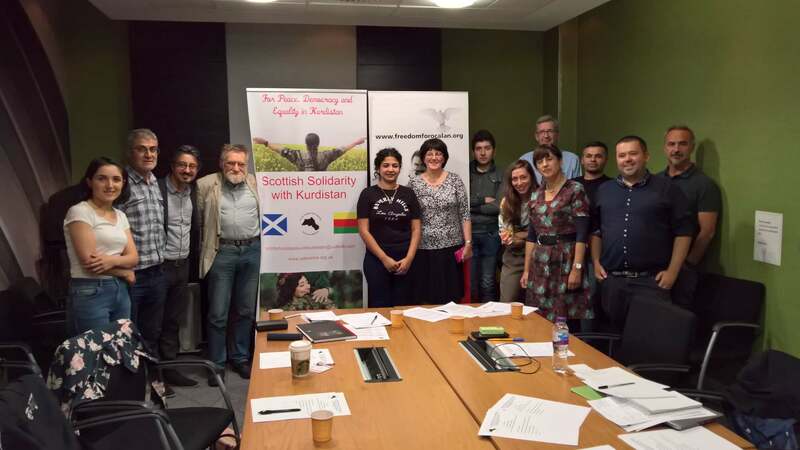 We were pleased to welcome new friends and old, including James Kelman, who is a long-standing supporter of the Kurds. 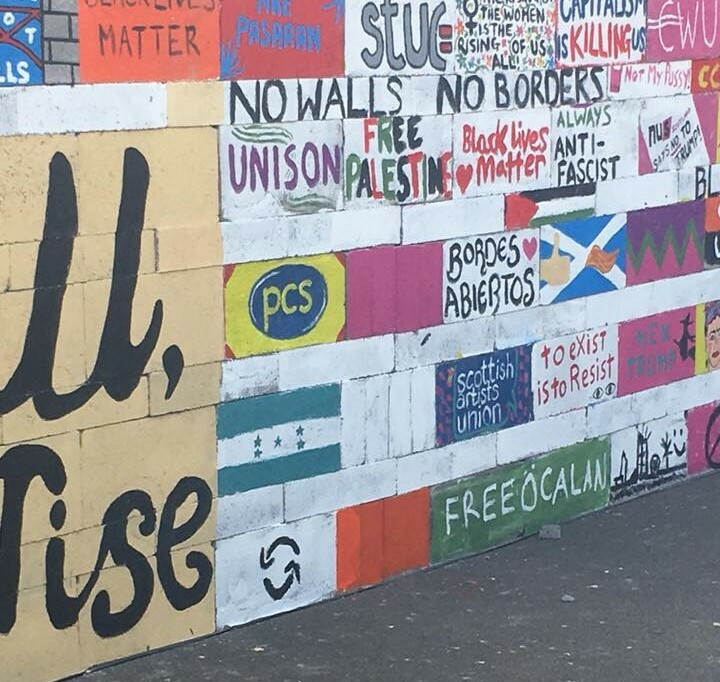 On 19th August we had our usual stall at the Unison Family and Friends day at New Lanark. 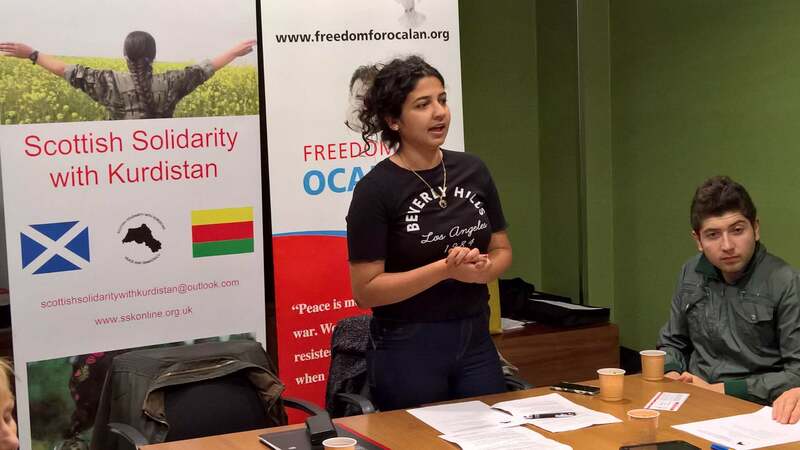 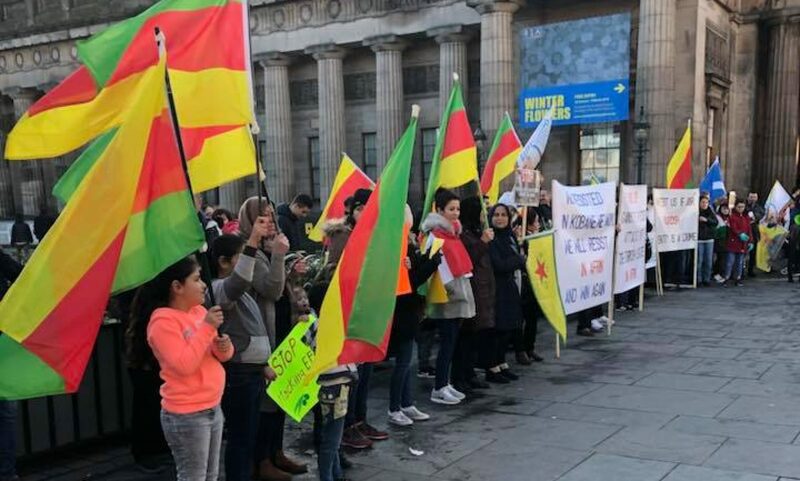 And Ocalan was not forgotten in the alternative wall built for the Glasgow demonstration against Trump’s visit to Scotland.